Paul joined the Buckingham Friends School community in 2018 as Head of School. Prior to arriving at BFS, Paul was Head of School at Berkshire Country Day School, an independent coeducational day PreK-9 school in Stockbridge, MA for ten years. Before that, he spent nine years as Head of Lower School at Moses Brown School, an independent coeducational Friends day school serving students in grades N-12 in Providence, RI. 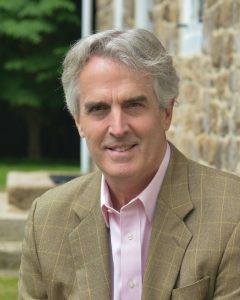 He spent six years as Head of School of The School in Rose Valley, an independent N-6 school in Rose Valley, PA, and before that in an elementary teaching position at Germantown Friends School, an independent K-12 Friends school in Philadelphia, PA for eight years, and at a public school in Vermont. Paul, a lifelong Friend, lives in Bucks County, PA with his wife, Margaret, has two grown children, and is passionate about music, the arts, trees, hiking, biking, and education.